Many people pass quickly through the Sacred Valley of the Incas, on their way to Ollantaytambo station to board their train to Machu Picchu, and they forget one of the best places in the valley. The town of Pisac is part of an ancient history, with a cosmopolitan culture and present, which is giving it a particular modernity. The people who are looking for this town, do it for the experiences that can find, only in this vibrant and spiritual town; With a cultural development in constant change and movement. Why visit the town of Pisac? Pisac is one of the most beautiful villages of the Sacred Valley, has many things to do , and is one of the best places, as a base to visit the other villages and breathtaking places of the valley. Pisac has dozens of hotels, some are in the main square, others are in beautiful places around, some of them cater in old haciendas of the seventeenth and eighteenth centuries. Most people spend only a few hours in the incredible town of Pisac; However, these people realized that a few hours is a very short time to visit a town like Pisac. That is why if you decide to stay in the town of Pisac, you will find people from all over the world, some who will only stay for a few days, and others who decided to make Pisac their home; Making it one of the most amazing cultural experiences of the Sacred Valley of the Incas. The word Písac (or Písaq) comes from the Quechua voices “pisaq or p’isaqa”, which means partridge; And like Inca cities of Machu Picchu and Cusco, Pisac has the form of an animal precisely of which receives the name; Yes, the ancient Inca city of Pisac is partridgeshaped, this is related to the spirituality and values that the Incas believed that each human being should develop. What to expect from your visit to the town of Pisac? Not only are the amazing Inca ruins, nor its world-famous handicrafts market; Pisac has a peace and quiet of the areas far from the cities, but with absolutely every comfort. The people of Pisac are committed to their culture and preserve it; This can be noticed in an endless number of cultural activities in and out of town, which will give you a clear view of the Andean culture. Pisac is a unique experience that is usually overlooked on a conventional tour. 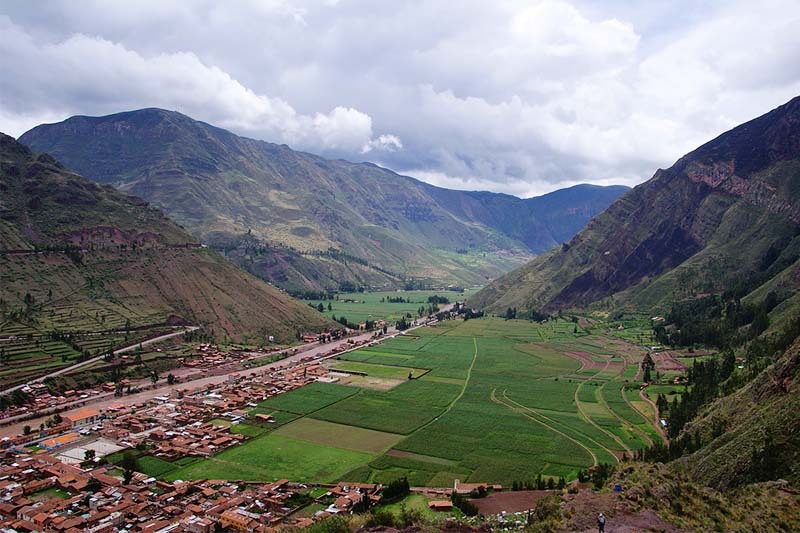 Where is the town of Pisac? Pisac is located 33 km from the City of Cusco, is a town whose archaeological site is among the most impressive of the Sacred Valley of the Incas. It is located to the east side of the mountain range of Vilcabamba; And as you know, Pisac (partridge) is not only the name of the village, but the way in which the Inca city was built. 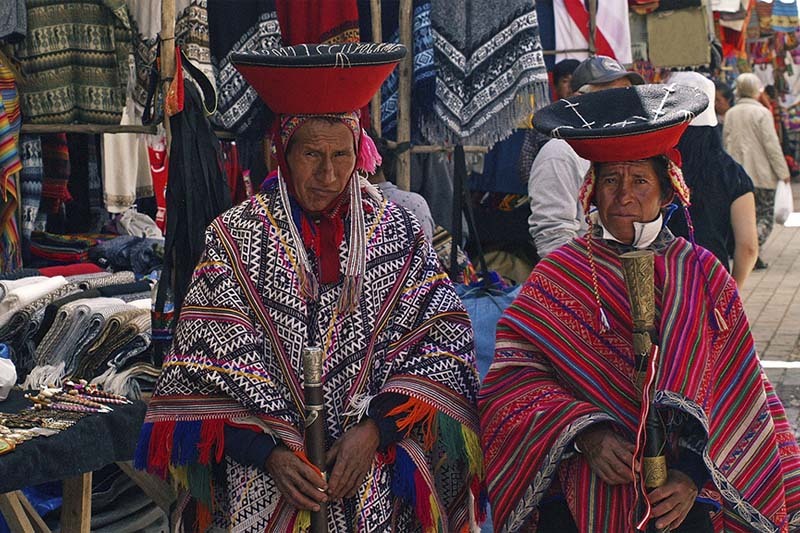 The village has Inca and colonial structures; Its main square is one of the most entertaining places of the town, it is colorful and has many unique handcrafted items. The architecture of Pisaq is also mestizo; The colonial town was built on the remains of Inca buildings, by Viceroy Toledo. If dawn in the village of Pisac, we recommend that you take the opportunity to attend a Mass; These are in most cases done in Quechua; The language of the Incas and where people from all over the town attend, the authorities, artisans, people from nearby communities and of course many people from all over the world. The main square of the Village of Pisac is beautifully decorated with centenary trees; The narrow narrow streets are paved and pedestrian (most of the time); In addition, some days of the week function as market. However, the Pisac craft market on Sunday is one of the best experiences that can be had in Pisac and Cusco. You can go to Pisac on your own, but if you wish to do it on an organized tour, please contact us at info@boletomachupicchu.com. In Pisac there is a legend that has passed through many generations, reaching to our days. It is the legend of a princess called Inkill Chumpi (princess of the florida belt); Who was the sole heir of the territory of Pisac. His destiny was to marry one who could build a bridge over the Wilkamayu River (Vilcanota) in a single day. When this was known, many brave men offered to perform this feat. Asto Rimac owned the wooded lands to the east; Was the secret lover of the princess, and was chosen to try tremendous feat. When Asto Rimac was about to begin such a difficult task, Inkill Chumpi went to invoke the Apus (mountain spirits) to help him, the spirits agreed to help him with the only condition that she did not see such a prodigy until it was finished. 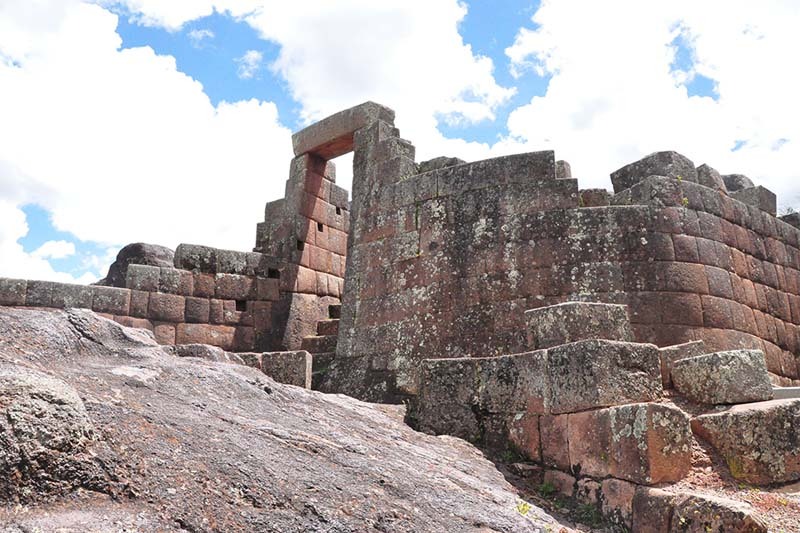 Just before the bridge was finished, the princess began to hear loud thunders and gave in to the temptation to see what happened and turn to observe; At that moment the Urubamba river swallowed Asto Rimac, and she was turned to stone, standing, looking towards the valley of Pisac. In the place until today can be seen the figure of stone.